There are several free CNA training opportunities available in the state of Colorado. 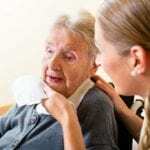 Apart from government grants, nursing homes and other long-term healthcare facilities provide free training with the promise to hire successful graduates. 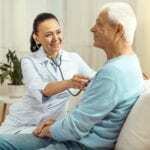 In order to work as a CNA, candidates must obtain certification – this according to Colorado’s Nurse Aide Practice Act. Before taking the state’s certification exam, candidates must complete 75 hours of lecture and laboratory training along with a minimum of 16 hours of clinical training at an approved facility. Graduates of the program are eligible to take the exam and must pass both segments within one year of completing the approved training. The names of successful candidates are automatically added to the Colorado Nurse Aide Registry. Emily Griffith’s Nurse Assisting program meets state certification requirements. After completion of the 6 to 8-week program, successful graduates are eligible to take the state certification exam. The first segment of the program is Nurse Aide Health Care Skills (4 credits) and covers basic nursing principles, communication, personal care, safety and emergency, principles of asepsis, patient rights, mental health, and OSHA regulations. The final segment, Nurse Aide Clinical Experience (1 credit), helps students put their knowledge into practice under the direction of a Registered Nurse. Applicants must take a reading test, as a prerequisite to enrollment, and provide proof of a negative TB test before the clinical rotation. Tuition for the full 92 contact hours is $520. Books, uniform, and state exam fee are not included on the cost. Stillwater College’s CNA classes are 5 to 8 weeks long with flexible schedules to accommodate busy adults. The school regularly updates the day, evening and weekend schedules on the website and adjusts the published schedules to meet the needs of registered students. The state-approved training prepares students for success on the job by teaching essential skills like personal care, feeding, transferring patients, patients’ rights, communication, charting, observations, and providing emotional and social support. Applicants must have a clean background and submit proof of a negative TB test before admission. The school also requires applicants to attend an interview with the program coordinator to demonstrate the motivation and potential for completing the nurse aide program. Contact the school to get information on tuition and financial aid for the program. Enroll in the nursing assistant program at Pima Medical Institute and become a certified nurse aide in just 6 weeks. The 4.5-credit program provides 130 hours of training: 90 hours lecture/lab and 40 hours externship. Instructors cover a broad range of topics (all within the state’s guidelines) including infection control, safety and emergency procedures, psychosocial needs, communication and interpersonal skills, personal care skills, basic restorative services, basic nursing skills, and quality improvement. Contact the school for full details on tuition. With only 12 students per class, the CNA training at Ann Rose School of Nursing offers a unique and personalized approach. Students meet 15 days for classroom training and 2 days for clinical experience for a total of 76 contact hours. Day and evening schedules are available. After completion of the program, graduates are eligible to the state exam at the school in a familiar environment. Tuition is $975 – payment plan is available. Additional costs include TB skin test, uniform, and state exam fee. The Community College of Denver’s 5-credit CNA training program is available in January, March, May, August and October. Class sizes are limited to 10 seats, and all students must take the co-requisite NUA 101 and NUA 170 classes during the study. The approximate cost is $1195 inclusive of supplies, certification, textbooks, and tuition. Students are eligible to take the state exam after completion of the full seven weeks of the program. The nursing assistant program at Compass Nursing Arts is approved by the Colorado State Board of Nursing. The instruction includes classroom lectures and practical learning experiences in a simulated lab and long-term care facility. Course topics include infection control, communication, patient rights and independence, law and ethics, personal hygiene, vital signs, observation and reporting, rehabilitation and restorative techniques, range of motion, and mental health. Compass Nursing Arts offer students the use of high quality blood pressure and stethoscope kits for practice at home, day, evening and full power classes. A flexible, partially online class is also available. The day or hybrid flex class meets weekdays from 8:30 am to 2:00 pm for 9 to 12 class sessions plus 3 full (8 hour) days for the clinical experience. Evening classes meet 5:00 pm to 10:30 pm for 3 weeks plus three clinical days. The Power class meets from 8:030 to 5:00 pm for 8 days plus 3 days for the clinical session. Applicants must have a negative PPD or TB test, take a flu vaccination during the flu season, pass a background check, obtain uniforms and a watch with a second hand for the class, and submit to a drug screen during the course. Students must attend all classes, complete all assignments, pass all exams and attend all clinical days to graduate from the program. Tuition for the program is $930. Additional costs include background check, drug screen, and state exam. Colorado State Board of Nursing. Students who enroll in the program will obtain the preparation and experience in patient care, basic nursing assistant procedures, safety and emergency care, and practical skills. The curriculum includes 104 hours of instruction including classroom lectures and the required clinical experience. Upon completion of the program, students will be eligible to take the state exam in facility. The program is offered on a morning and evening schedule. A new class begins every 4 to 6 weeks. Experienced instructors supply free practice sessions before the exam and accompany students to the clinical experience. The class size is limited to 10 students to allow personalized instruction. Applicants must have a high school diploma or GED. Those aged 16 must be enrolled in high school. Other requirements include proof of negative TB test, interview with a member of staff, and obtain a passing score on the entrance exam. Tuition includes BLS and First Aid Certification, background check, textbook, drug screen, uniform, gait belt, parking, student ID badge, and the State Board exam fee. Red Rocks Community College conducts a nursing assistant program with the approval of the Colorado State Board of Nursing. Students who successfully complete the program are eligible to take the state certification exam. With the completion of just 5 credit hours, students will be prepared for a career in healthcare. RRCC offers flexible class schedules that meet students learning needs and availability. The 4-credit CNA Health Care Skills module teaches students how to perform the fundamental skills of the nurse aide. Students learn basic nursing skills, personal care skills, communication skills, principles of asepsis, ethical behaviors, cultural sensitivity, mental health, and OSHA and HIPPA regulation. The clinical experience gives students the opportunity to apply the knowledge and skills gained in NUA 101. Students who are new to RRCC must register before applying to the program. Students must have the course textbook, proof of current Basic Life Support for Healthcare Providers Certification, statement of health care provider including a TB test, seasonal flu shot, and all vaccinations, and a completed background and drug test. Tuition costs $136.90 per credit hour. Additional costs apply.